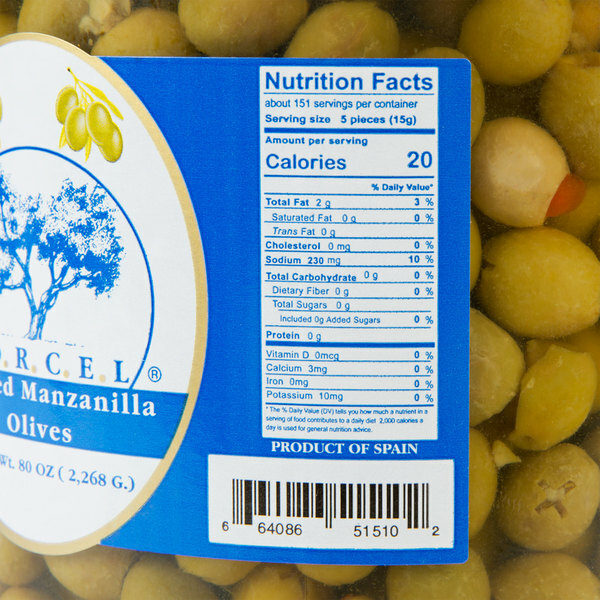 Bring a fresh taste to any salad, vegetable platter, or drink with these manzanilla stuffed olives! 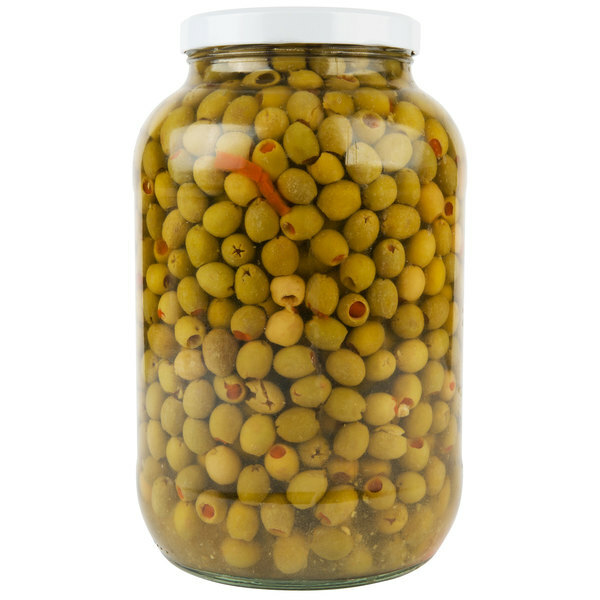 Perfect for adding an extra zest of savory flavor to any dish, these manzanilla stuffed olives make a welcome addition to your sandwich shop, bar, or Italian restaurant. Plus, with this 1 gallon container, you are sure to have a good supply on-hand in your establishment. 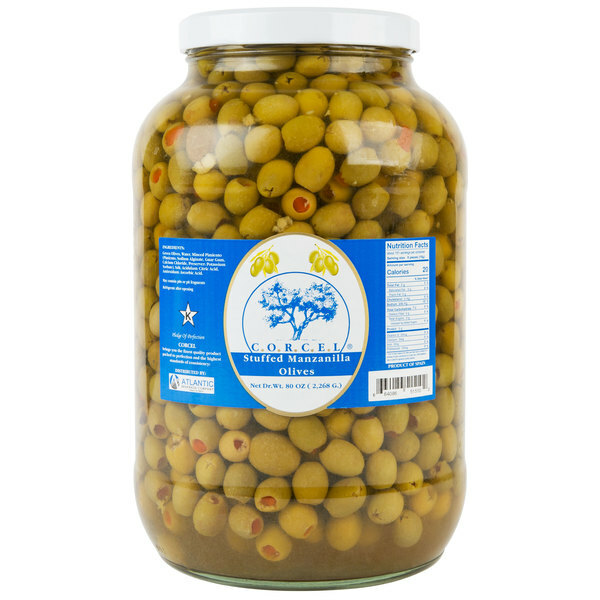 Manzanilla olives are light green in color with a firm texture. Featuring a slightly bitter and smoky taste, they undergo a process known as a "Spanish cure." 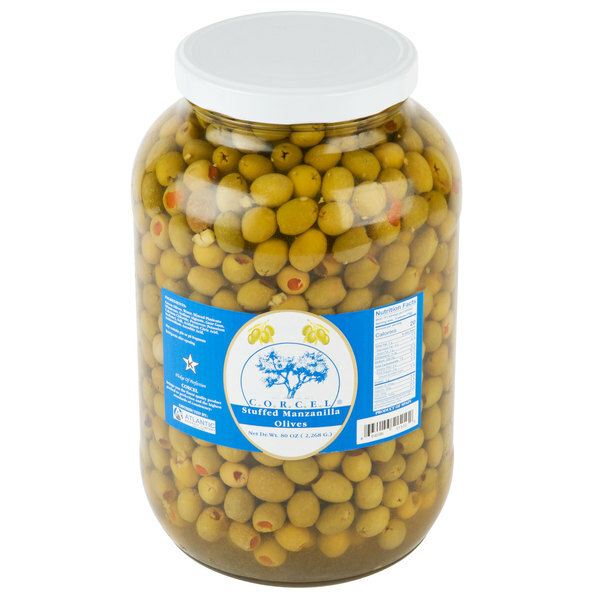 During this curing process, the olives are thoroughly washed for 10-12 hours, then fermented for approximately three or four months. After all that time, each olive is sure to be cultivated to perfection! 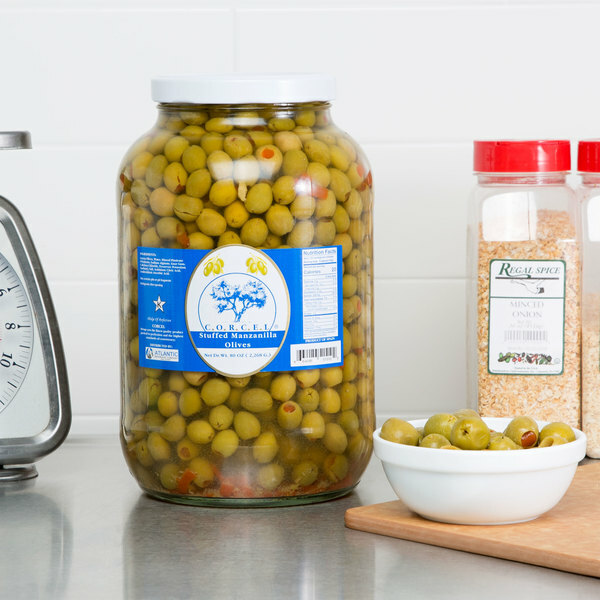 From classic martinis and Greek salads to pasta and tapas, these large stuffed manzanilla olives will be the ideal addition to any recipe. Use them to enhance your olive bar, salad bar, pasta salads, and flatbreads! 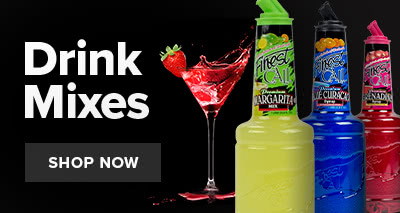 A simple yet fresh product, they can often be found in martini glasses during cocktail hour. 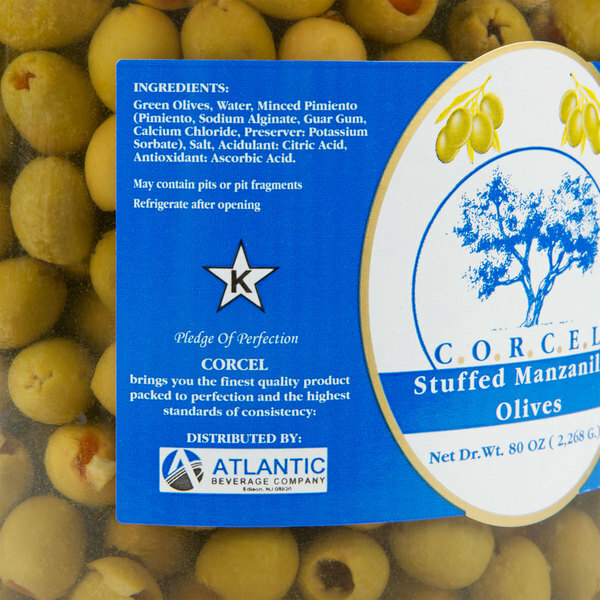 These manzanilla stuffed cocktail olives offer the perfect finishing touch to your meals and they are ready to serve.